Metroid series lead and co-creator Yoshio Sakamoto teaches us something we never knew we never knew. 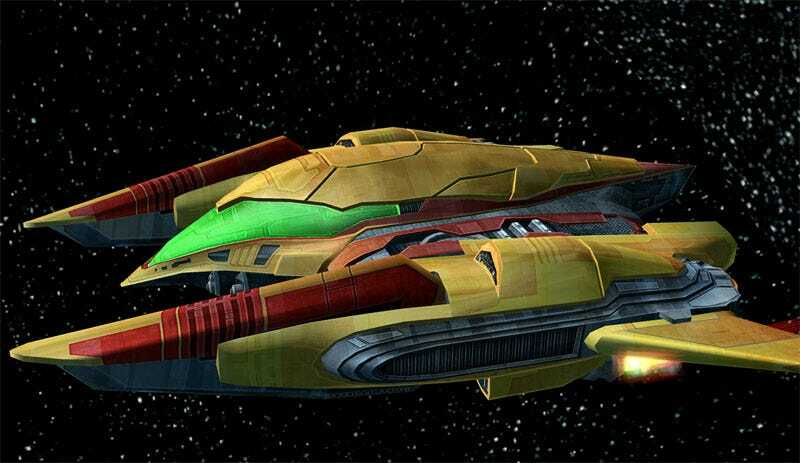 Intergalactic bounty hunter and Metroid: Other M star Samus Aran's ship—which bears a striking resemblance to her space suit—doesn't have a name. In the latest issue of Nintendo Power, Sakamoto answers the question "Does Samus's ship have a name?" with the following somewhat disappointing revelation. "We've always just called it 'starship,'" he says. "Some people on the team even call it 'Samus's ship,' but that's not exactly an official term." How dull! And from a series that introduced us to the memorably named Screw Attack no less! While Nintendo may not have an official name for Samus Aran's ride of choice—some games have referred to it as Samus' Gunship, still snoozeworthy compared to the Vic Vipers and Millenium Falcons of other universes—it presents a possible challenge. What can we name this thing?